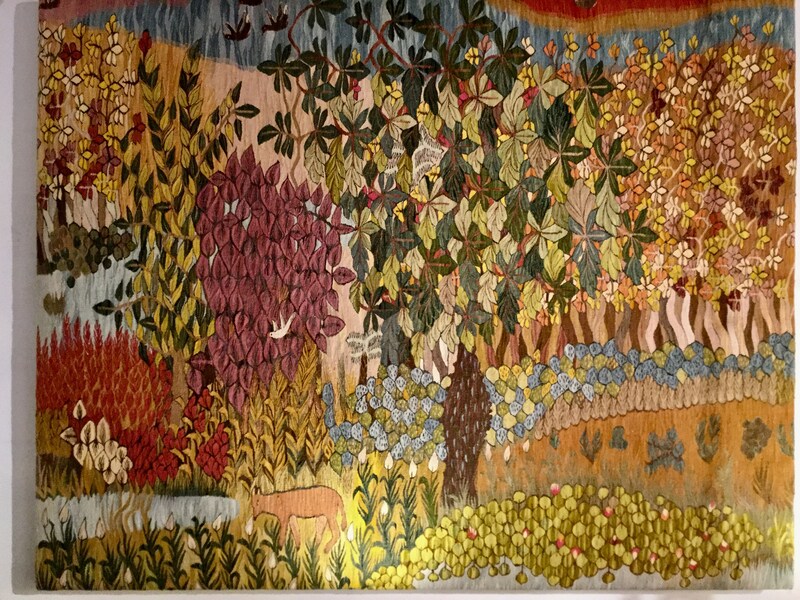 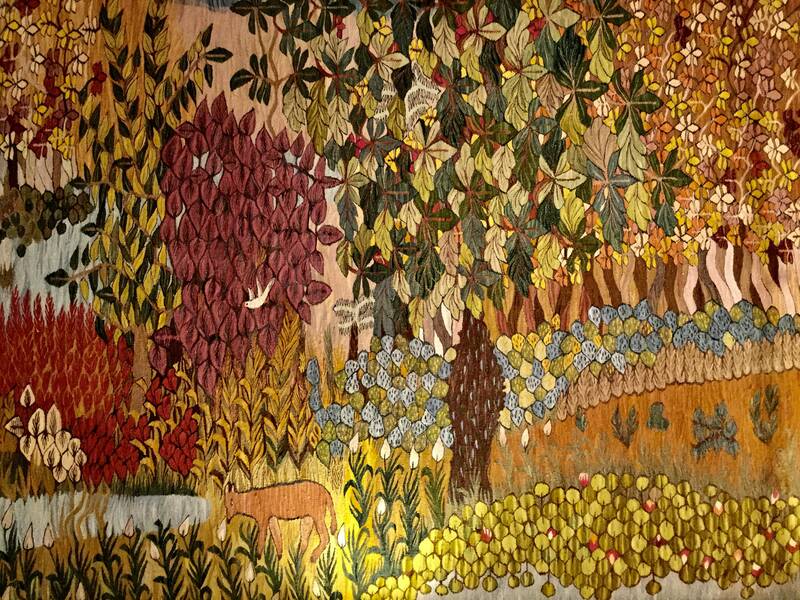 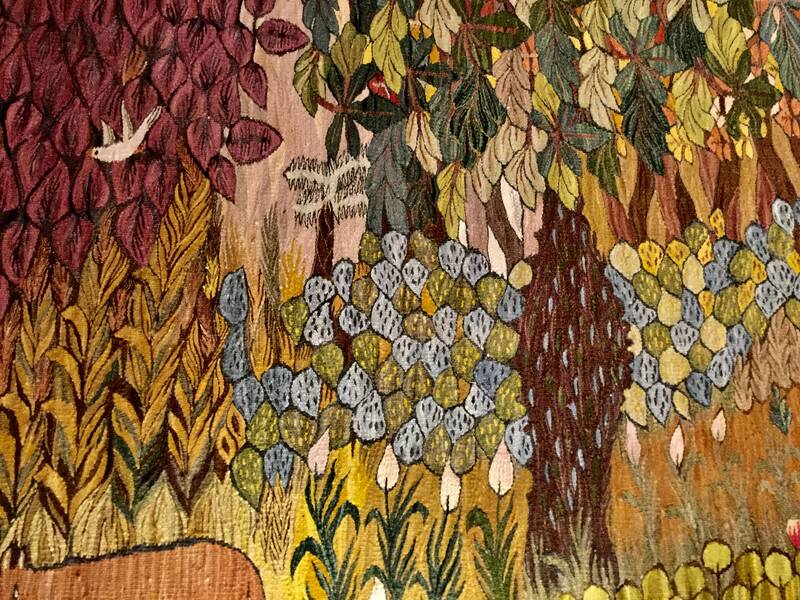 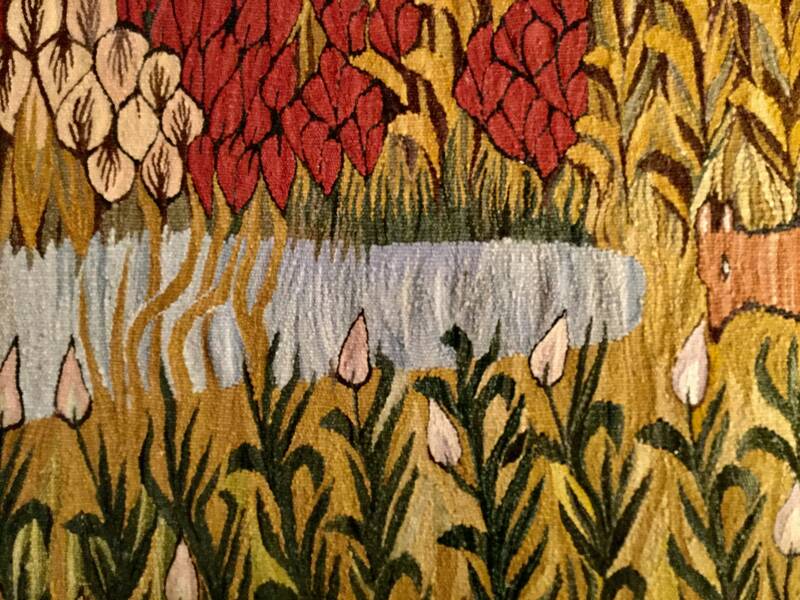 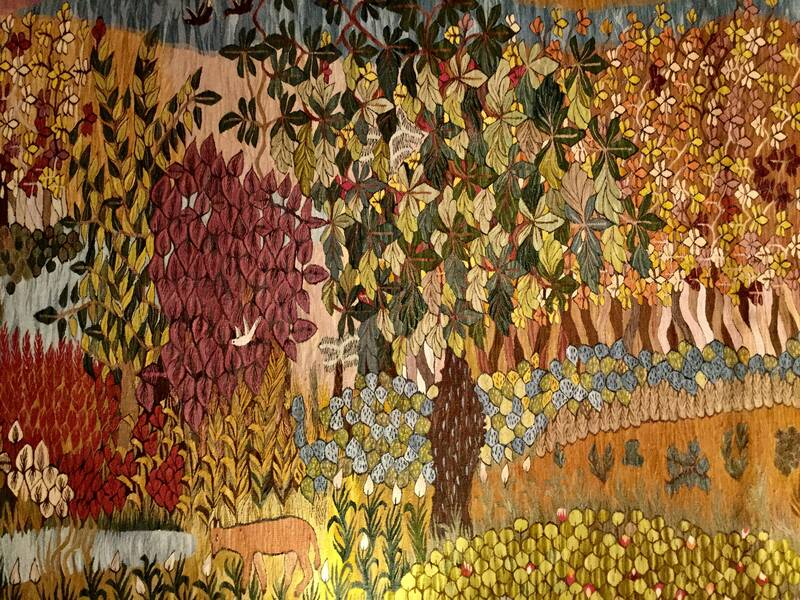 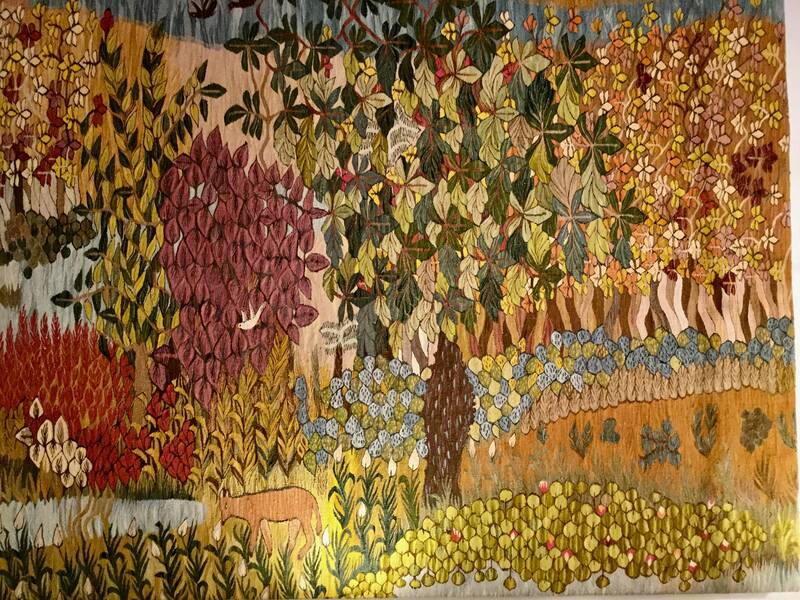 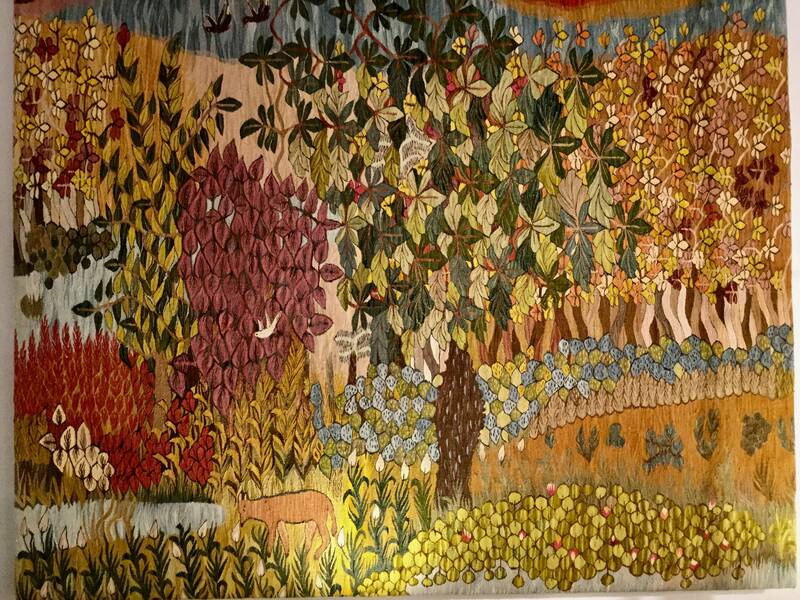 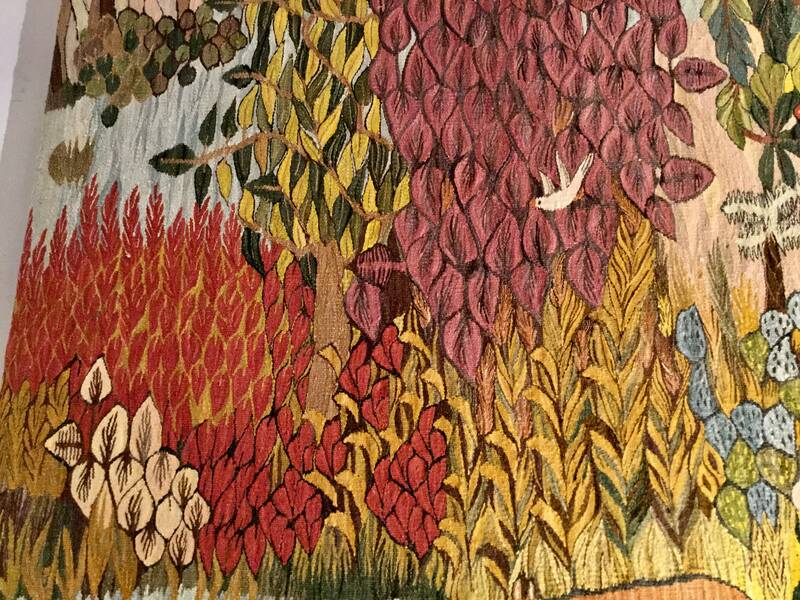 This amazing art neuveau Austrian Tapestry depicts nature at its best with wool hand knitted fibers in Werkstatte style. 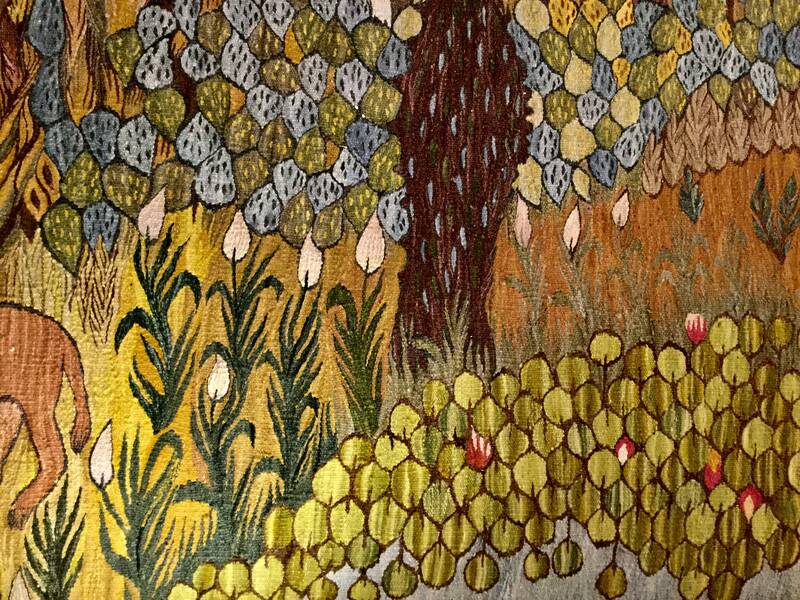 A short period of Austrian history in Klimt Style. 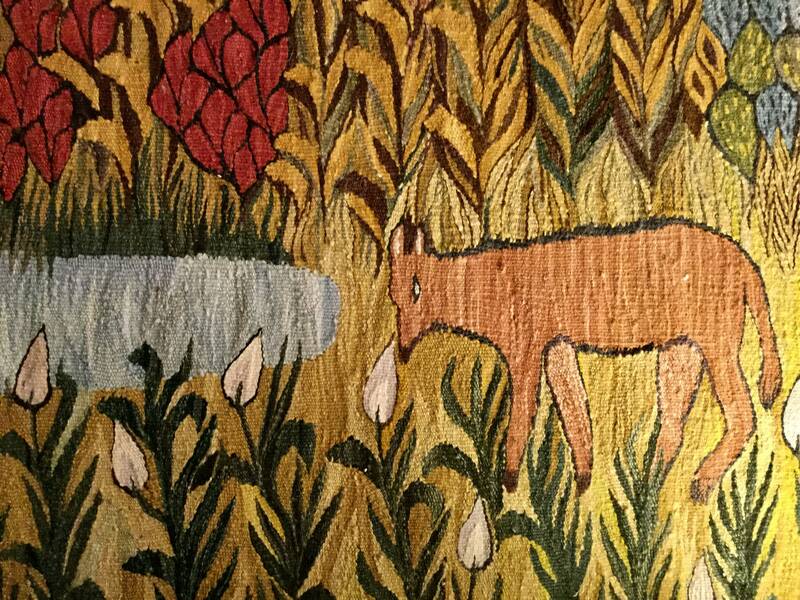 Let this grace a fine home.